In December of 2008, a staff researcher named Sheri Sangji was working in a UCLA chemistry lab when a terrible accident occurred. As she was transferring a substance known as tert-butyl lithium, the syringe carrying the chemical broke apart, releasing flammable material onto her clothes and skin. As soon as the tert-butyl lithium came into contact with the surrounding oxygen, it ignited, burning over 40 percent of Sangji’s body. Less than three weeks later, she succumbed to second and third-degree burns and died in the hospital. A number of such tragic accidents have occurred over the years in research labs across the world. Unfortunately, the death of Sheri Sangji is only one of many cases that highlight the need for proper lab planning, safety procedures, and lab furniture. To stress the importance of worker safety, we’re starting with the basics. 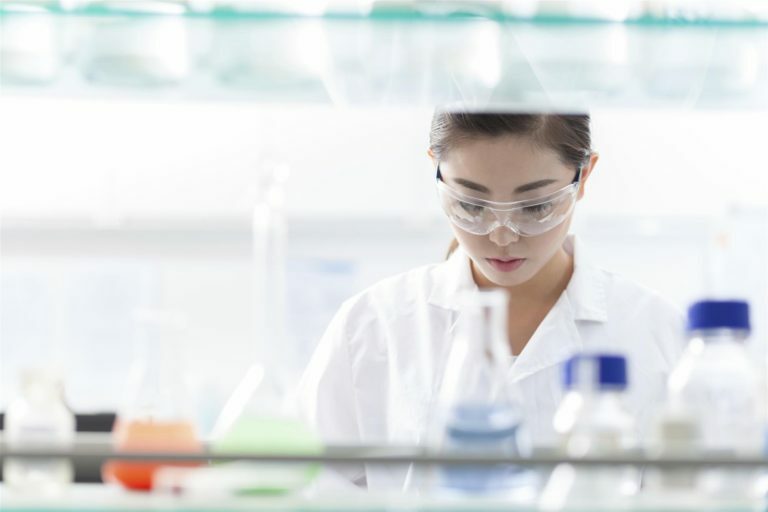 What is a fume hood and why is it the first line of defense in any laboratory? 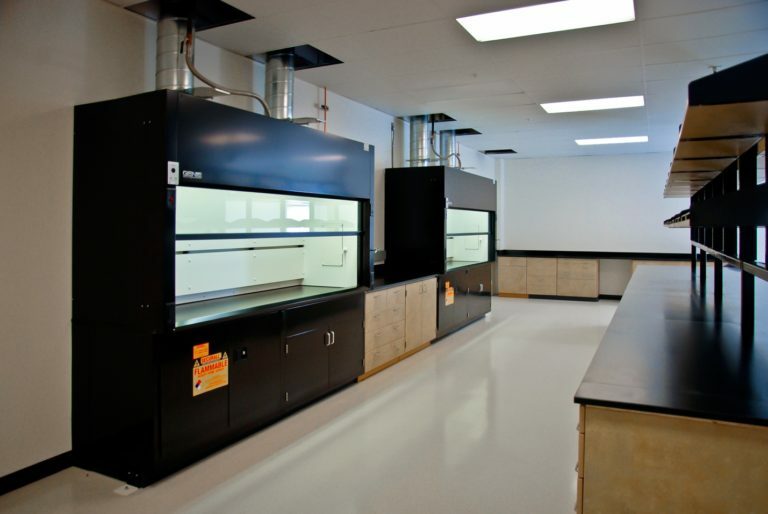 What Exactly Is a Fume Hood and What Does It Do? Why Are Chemical Hoods So Important? Although fume hoods are essential, they do not protect against every hazard. Biological work involving potentially dangerous micro-organisms, for example, requires separate biological safety hoods that are designed specifically to deal with organic threats. 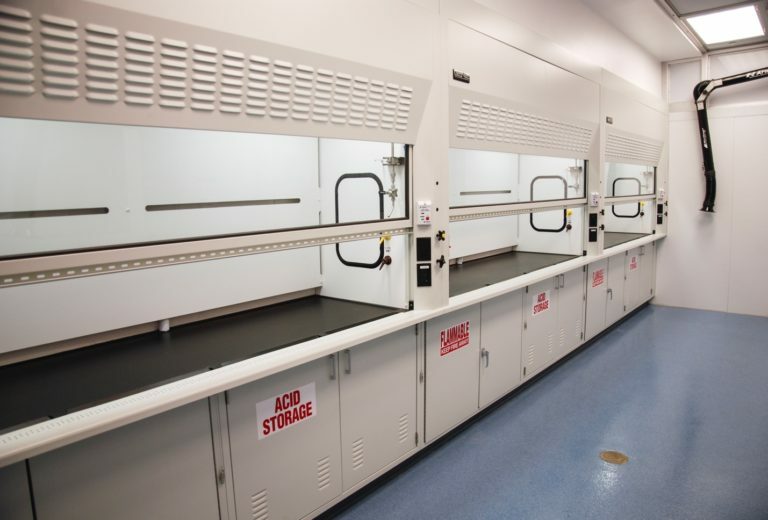 Work that involves radiological materials or perchloric acid also requires separately designed hoods—a Genie Radioisotope Fume Hood and a Genie Perchloric Acid Fume Hood, respectively. Furthermore, while properly used fume hoods can shield employees from certain types of volatile reactions, they are not designed to handle every explosion. It’s, therefore, important to recognize the limits of each piece of equipment and to purchase the right unit for the particular task at hand. Expecting each fume hood to protect against every laboratory danger is the surest way to lull workers into a false sense of security. In spite of these caveats, chemical hoods are indispensable to the overall safety and integrity of laboratories. There are countless perils that come with lab work, but a properly manufactured and installed fume hood can mitigate many of those risks. What Are the Basics of Fume Hood Construction? The two main components are the body of the hood and the sash. 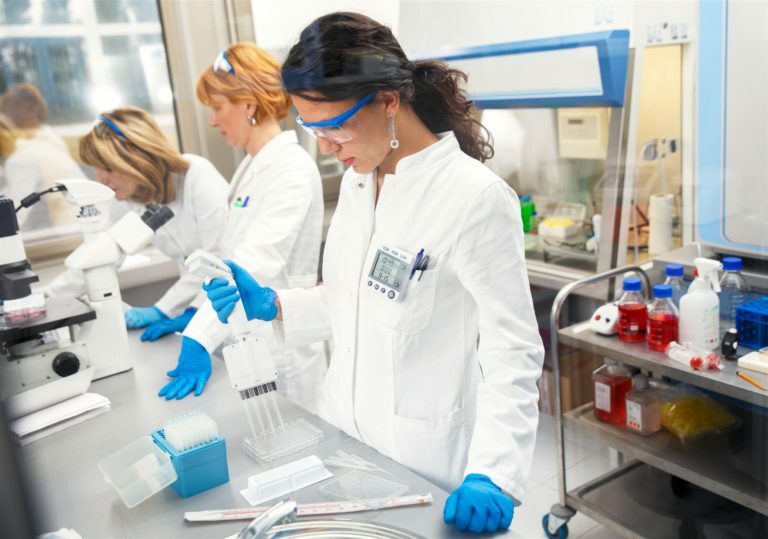 The hood itself contains a work surface, enclosed completely on three sides, on which lab personnel can conduct their research. The sash comprises the last section and acts like a window or panel. A worker can open it to gain access to the hood or close it to restrict airflow. The baffles, typically located at the back of the unit, are basically slotted panels that draw air into and toward the back of the unit. Lab workers or managers can adjust these baffles to modify the air flow into the hood. Finally, the exhaust duct releases contaminated air to the outside. How Does a Properly Manufactured Fume Hood Work? A fume hood ventilates the laboratory by drawing polluted air into the unit and away from the lab worker, then up the exhaust and out of the room, all the while diluting contaminated air by mixing in fresh air. This process requires a sufficient quantity of air in order to proceed according to design. Installing too many hoods in too small a space may, therefore, compromise effectiveness unless a separate air source pumps additional ventilation into the laboratory. Although Sheri Sangji was using a laboratory fume hood when her fatal accident occurred, some reports suggest she might not have been using it properly, or that the unit itself was not up to established safety standards. Since investigators were unable to examine the unit as it was at the time of the accident, there is no way to know whether the severity of the accident was due to user or equipment error (or a combination of both). Hood Construction – There are basic safety standards governing the construction of lab hoods, which is why Genie Scientific manufactures all of its chemical hoods in the United States to meet or exceed industry benchmarks (each unit must pass the ASHRAE 110 test and remain UL Listed). Lab Planning – The layout of the laboratory itself, including the placement of the hood, must take safety considerations into account. For example, lab designers must never place a unit near doors or any other emergency exits, and they must always account for foot traffic. Maintenance – Lab managers must maintain strict maintenance and testing schedules, such as regularly replacing filters, to ensure the unit stays in working order. Proper Usage – Managers should train all employees in proper equipment and safety practices. Ensuring that all personnel follows OSHA’s guidelines is a good start, although experts recommend enacting safety measures that go above and beyond the minimum standards. Are There Different Types of Fume Hoods? Of course, some laboratories require specially constructed units to accommodate particular needs. From extra deep, tall, or wide models to enormous walk-in fume hoods, custom-built cabinets can handle nearly any exceptional situation. Genie Scientific can also manufacture chemical hoods with custom distillation or ventilation features. Whatever the circumstances, it’s important to work closely with the manufacturer to construct the right fume hood for the job at hand. Safety is the number one issue for lab planners, managers, and workers alike. It’s also the most important factor driving Genie Scientific’s quest for perfection. For over thirty years, we have been manufacturing only the highest quality equipment for laboratories around the country. As a one-stop shop, we’re not only able to ensure the quality of each and every unit, but we also take pride in our ability to work closely with our clients to provide customized fume hoods for any industry or application. Visit our site to learn more about our dedication to laboratory safety. 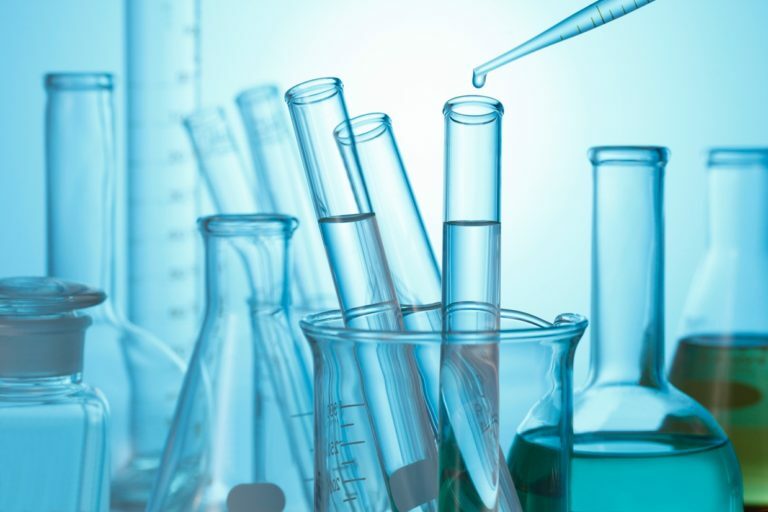 Visit our site to learn more about our dedication to laboratory safety.